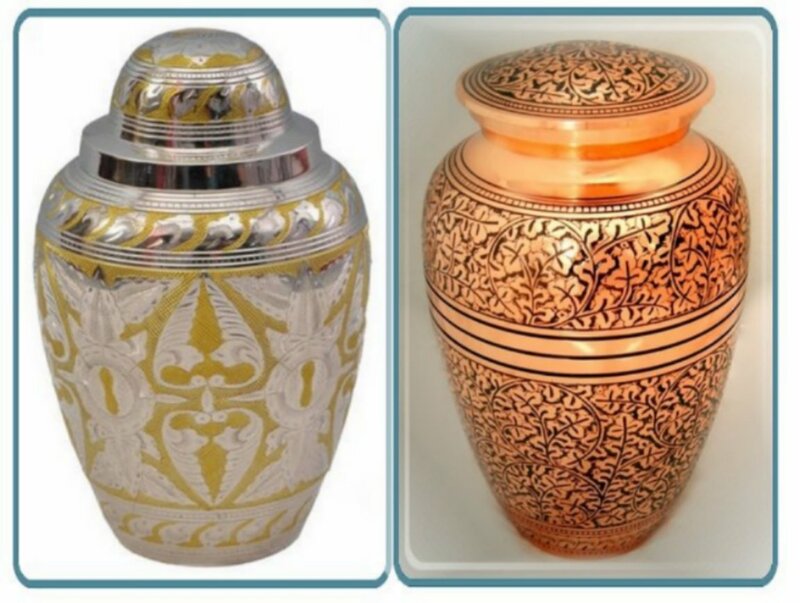 This is a special sale on 2 full size premium brass urns (Reflections Brass shown left and Sunrise Brass shown right for a total purchase price of $115. The Reflections Brass is a classic silver and gold color highlighted with a beautiful ornate pattern. The Sunrise Brass full size adult cremation urn is a beautiful copper color with an intricately carved all over pattern. * Height is just under 11"